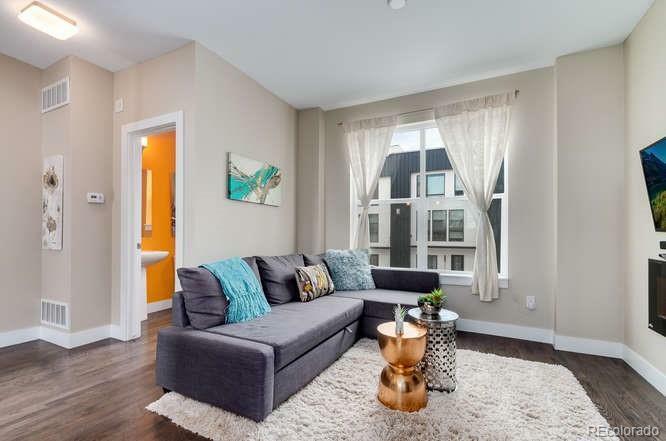 Modern Row-home with close proximity to terrific pubs, restaurants, and a 1 minute walk to SLOANS LAKE; full of bike-riding, people-watching, and all things park like! 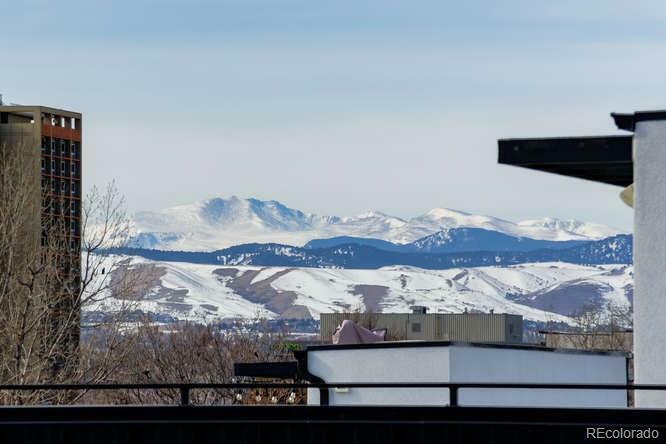 Enjoy fireworks, craft beers and BBQ on the Fourth of July on your own rooftop patio that boasts over 240 square feet which include mountain views of the Front Range and the city skyline! Inside the home the floor plan is well designed with good storage and large windows on the east and west sides inviting tons of natural light. 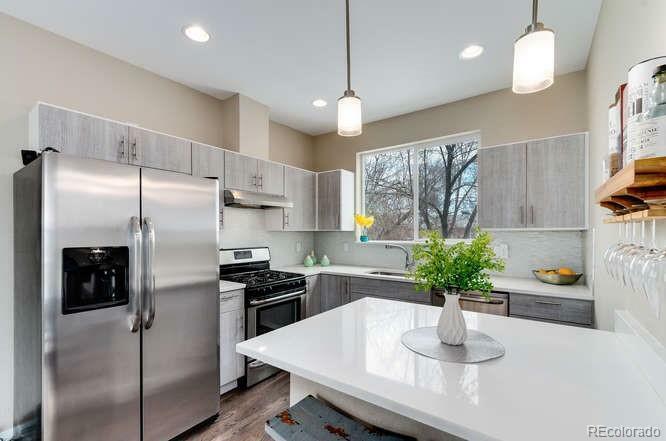 A gorgeous kitchen with quartz counter tops, gas range, and stainless steel appliances integrates with a spacious living area that is perfect for relaxing. The third level features a roomy master with custom barn-wood detailing, en suite and a walk-in closet. HOA is LOW at $170/month. One car garage. 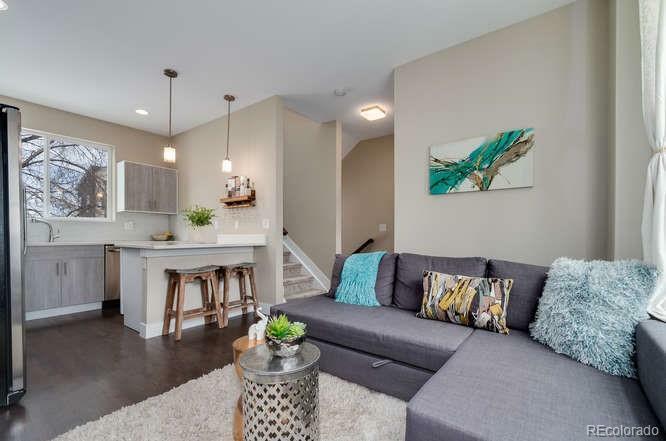 These features, the rooftop, and the SLOANS LAKE location make this a very unique listing. Rooftop patio is also engineered for a hot tub, if desired. LOW HOA!